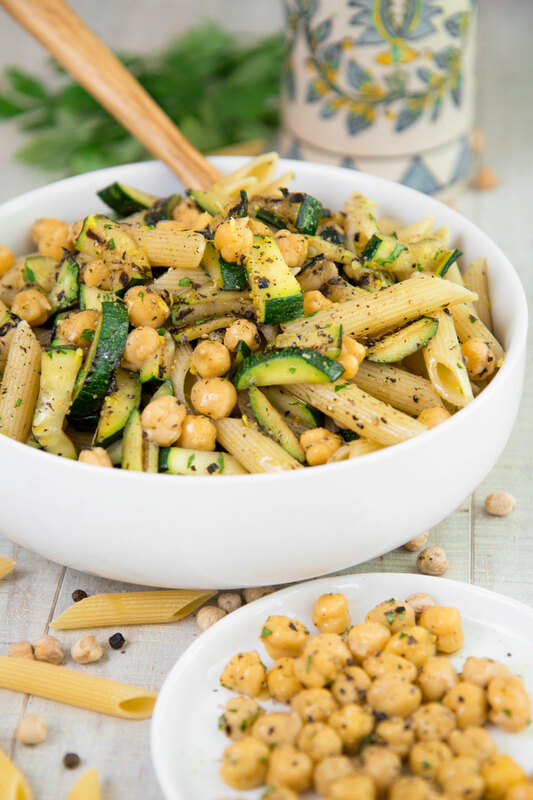 PASTA SALAD RECIPE w/ grilled zucchini and chickpeas - healthy & tasty! 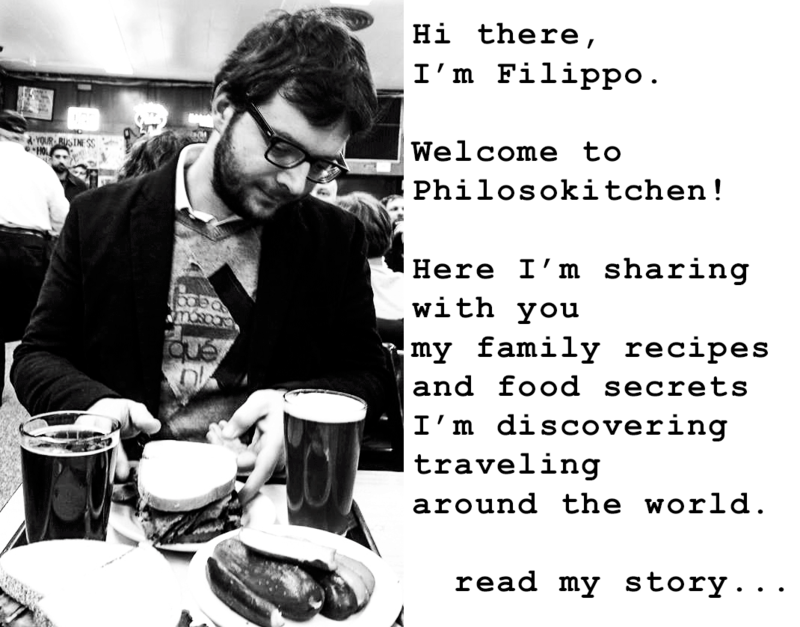 You are here: Home / My Authentic Italian Recipes / PASTA SALAD RECIPE with grilled zucchini and chickpeas: healthy and tasty! Pasta salad is a must for whom, despite these heated summer days, desire to enjoy a tasty plate of pasta! 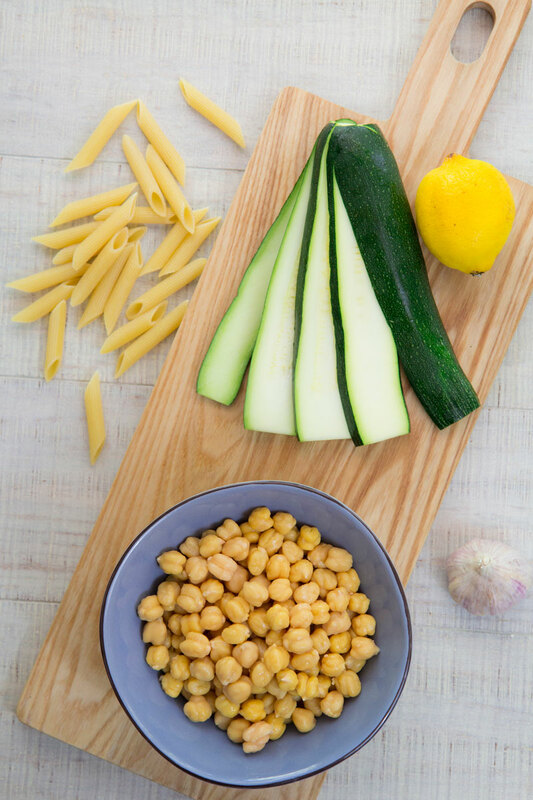 It is possible to toss the pasta with various ingredients, but today I opted for delicious grilled zucchini combined with chickpeas. The flavor of lemon zests and fresh parsley complete the recipe: ready for a picnic on the beach or a dinner with friends on a hot summer night! 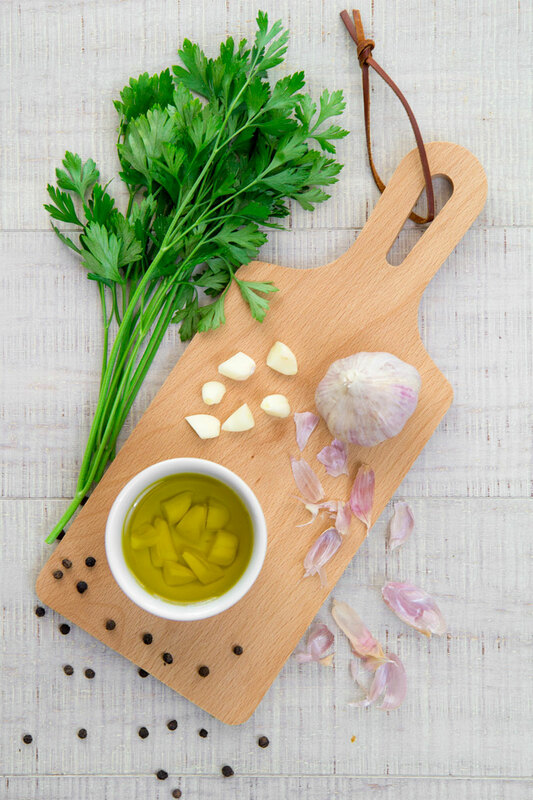 Pour the olive oil into a cup, then peel the cloves of garlic and cut them into chunks. Rinse the fresh parsley leaves and mince them. Combine the parsley and the garlic along with the olive oil. Finally, wrap the cup and put it aside. Raise the chickpeas from their water, then peel them carefully. Now, cut the zucchini lengthwise into slices thin about 1/3 inches. After that, sear the zucchini slices on a grill pan until cooked but still firm. Pour the garlic and parsley marinade into a bowl, then discard the garlic chunks. 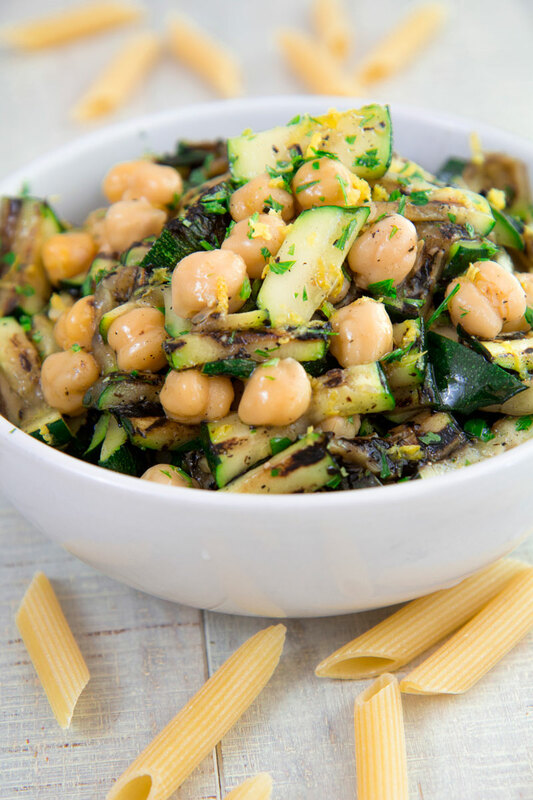 Now reduce the zucchini slices into strips, and combine them with the marinade along with the chickpeas, the yellow part of a lemon skin grated, the black pepper, and salt as needed. Wrap the pasta salad seasoning and store in the fridge. It can be tossed with pasta immediately, or up to 24 hours after. Cook the pasta into 5 Qt of boiling water salted with 4.5 tbsp of coarse salt. Raise the pasta “al dente”, then pour it into a colander and rinse with water until the pasta reach room temperature. The rinsing of the pasta it’s necessary also to eliminate the starch in excess. Pour the pasta in a blow and toss with the vegetables as soon as possible. The pasta salad is at its best just prepared, so if it’s possible, toss the pasta with the vegetables just before serving. Otherwise, store the seasoned pasta in a box covered up to 24 hours. Take the pasta out from the fridge 30 minutes before eating. 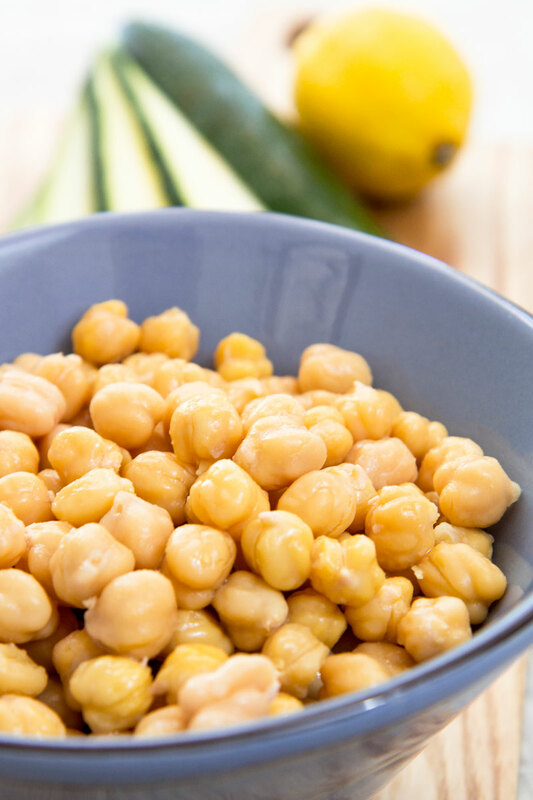 Raise the chickpeas from their water, then peel them carefully. Now, cut the zucchini lengthwise into slices thin about ⅓ inches. 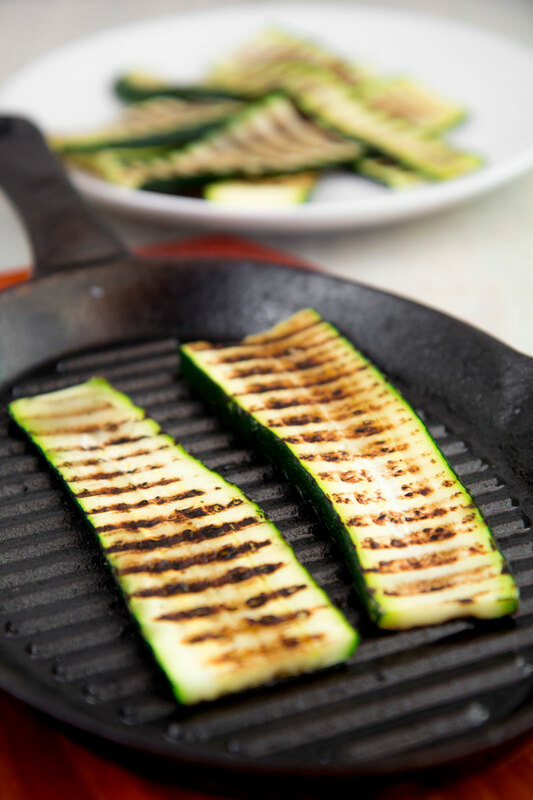 After that, sear the zucchini slices on a grill pan until cooked but still firm. Looks really good. 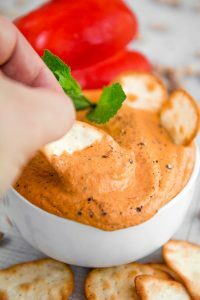 Nice salad for spring time.